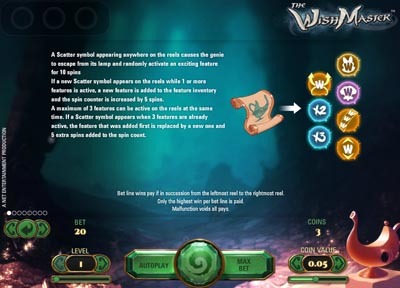 The Wish Master is a brand online slot of which we first caught a glimpse a little while ago; it’s from Net Entertainment and it’s theme is based on the legends and tales of Arabia. We know this not just because of the gleaming magic lamp in the bottom right hand corner of the screen but also because of the appropriately mysterious background music. 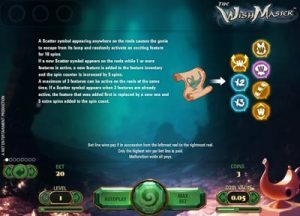 The Wish Master has five reels and twenty fixed paylines and all the action takes place in a faintly-lit cave, presumably the location of that polished magic lamp. There are just eight basic symbols – J, Q, K and A and then four stylised animal masks, each containing a matching coloured gem. 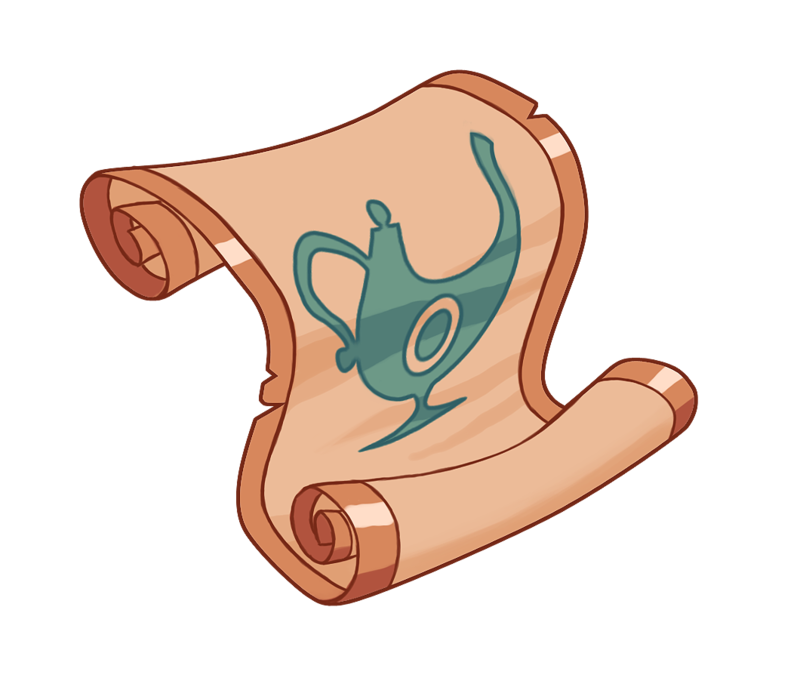 The scatter symbol is that aforementioned magical lamp and the wild is a flaming ‘Wild’ symbol on a black background. Landing another scatter symbol will add another five spins to the total and also add one more feature. You can have a maximum of three feature active at any one point and you can see which ones are active above the reels. The fixed paylines mean there’s not much to offer here in the way of advice and there’s no other player interactivity. We would suggest keeping the atmospheric soundtrack turned on though for the whole Arabian experience.